Merry Christmas to everybody. I hope everyone had a wonderful time with family and friends this holiday season. 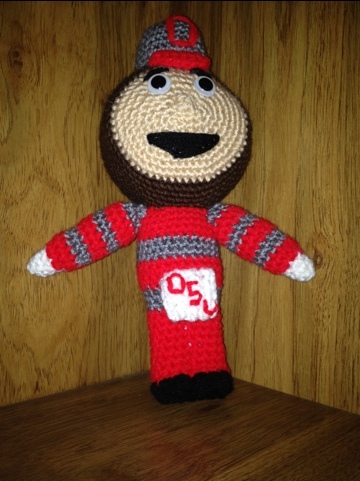 I have a lot of Ohio State Buckeye fans in my family, so this year I decided to put a Brutus the Buckeye in the family gift exchange. I need to put some finishing touches on my pattern, it’ll be up on Tuesday when I get off work. Do you happen to have a Brutus hat pattern similar to this available? This is so cute. Thanks for sharing.